“The traditional owners of the land have unique skills and expertise in the management of fire in the landscape,” said the Victorian division of the Institute of Foresters of Australia in a pre-state election paper. The IFA, founded in 1935, represents more than 1000 members who are forestry scientists and/or managers operating in forest and natural resource management. The IFA’s Victorian secretary, Peter Fagg, said forest fire prevention and hazard management was a crucial weapon in fire fighting, along with a rapid, emergency response team. Mr Fagg said this meant fuel reduction burning away from urban settlements, as recommended by the 2009 Victorian Bushfire Royal Commission. “Failure to do so will lead to forest fires burning into our cities like they did in Canberra in 2003 and as recent fires in Portugal (2017), Greece (2015 and 2018), Canada (2017) and California (2017,2018),” he said. Funding to ensure a eucalypt seed bank to help regenerate ash forest in state forests and national parks after future large-scale bushfires. The Victorian Government should oppose the Great Forest National Park as it would greatly reduce social, environmental and economic benefits from the Central Highlands forests. No extra national parks should be created in western Victoria’s forests. Government incentives for more investment in hardwood and pine plantations. Biomass from sustainable forests, plantations and sawmills should be encouraged to generate renewable bio-energy. Access to firewood from harvesting or thinning from native forests should be maintained and better regulated. Action to alleviate the shortage of trained foresters, with the Creswick Forestry School underused. More resources to educate the schools and public about the values provided by forests. Mr Fagg said that, with more than 90% of native forest either formally or informally reserved for conservation, the rational for further national parks was “highly questionable”. Forest habitats in Victoria were already well represented in reserves, he said. The limited conservation money would be better spent on non-forest areas and other habits not represented in the conservation estate. Mr Fagg said with more forest put into parks, Victoria would have to import more tropical hardwoods from some countries in the Asia-Pacific “where sustainable forest management is often questionable”. He reiterated the socio-economic importance of the Victorian forestry industry, which, including downstream industries, employs about 21,000 people. Resource constraints had halved hardwood sawlog production over the past 20 years. “While bushfires have played a part, the constraints have been based mainly on politics, not science,” he said. Mr Fagg said active, sustainable forest management, including wood production, mitigated carbon emissions and boosted carbon storage. Mr Fagg said the Government should provide incentives to establish bio-energy plants in regional areas with wood from sustainably managed forests. 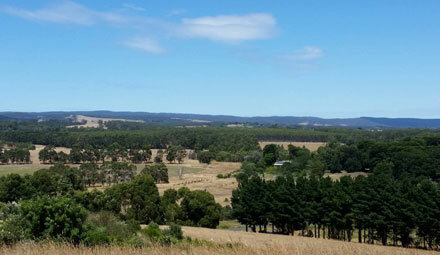 “Opportunities for small to medium scale bio-energy facilities exist in rural and regional Victoria,” he said. Well planned bio-plants could cut reliance on existing conventional energy, using biomass that might otherwise be dumped or burnt for no gain. Many European countries, such as Sweden and Germany, had numerous bio-energy plants. In Victoria, several successful enterprises, such as Meredith Dairy and the Beaufort Hospital used bio-energy for heating, Mr Fagg said.